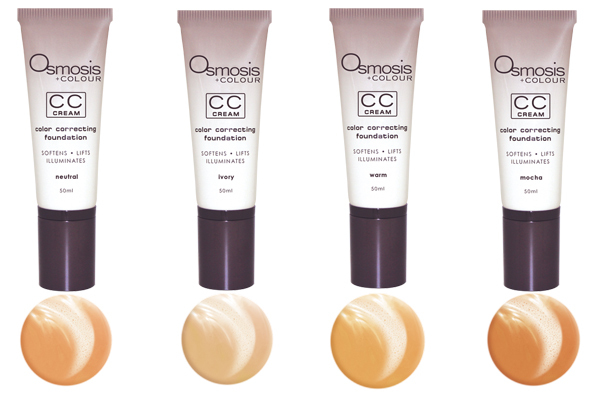 Achieve a natural-looking, flawless and luminous complexion with Osmosis CC Cream! This creamy, lightweight tinted moisturizer features natural color-correcting mineral pigments to brighten and even your skin tone with lifting and hydrating benefits. Perfect for everyday, this is the ideal one-step makeup with skincare benefits to boot. UV filters offer sun protection while diffusing skin discolorations; japanese fruit extract helps to further slow down the effects of free radicals on the skin. CC cream goes on smoothly and works beautifully on all skin types. It feels like you’re not wearing makeup, but enhances your complexion naturally, resulting in a radiant contemporary look. Wonderfully sheer to medium coverage; your skin will love it!